As you may already know, many fun and useful activities have become a tradition in our school and many of them are part of British school culture, which were introduced to BGS by our Emeritus Head Dr. Christopher Greenfield. 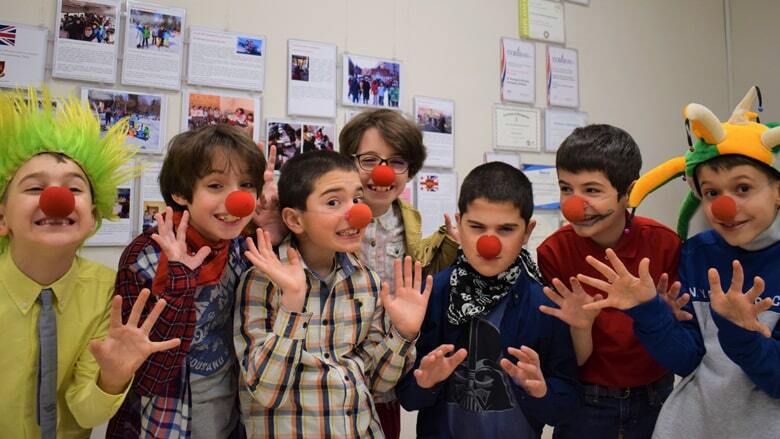 On March 18, Dr. Greenfield initiated a rally – The Red Nose Day. Students had a chance to come to school with Red Noses or dressed up, in case they paid the “fine” for not wearing the school uniform. With the collected money we helped children with leukemia. We raised up to 1,000 Laris! Parents, thank you very much for your support and special thanks to our junior students for being so actively engaged.